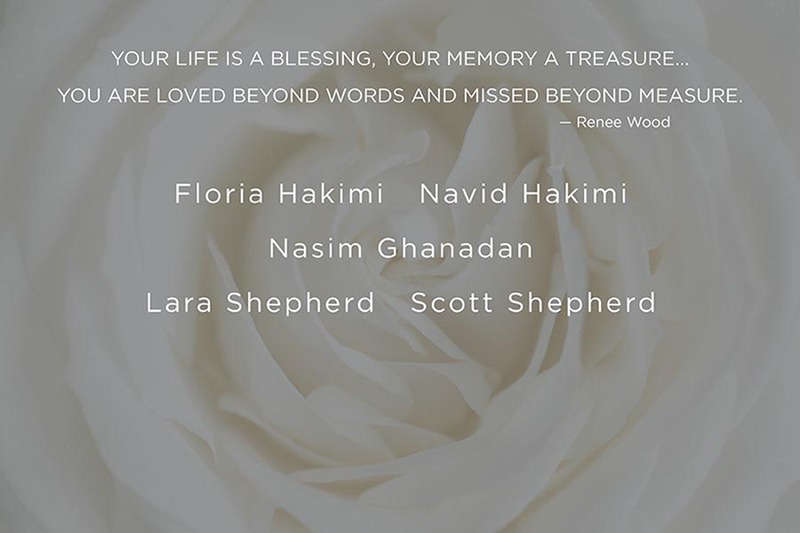 Yesterday morning, following the news of Sunday’s tragic crash of a private plane carrying five members of Pacific Union’s nuclear and extended family, I joined our team in Danville to mourn, reflect on, and celebrate the lives of Scott and Lara Shepherd; Floria Hakimi and her son Navid Hakimi; and Nasim Ghanadan. Their plane crashed in Santa Ana, California en route to John Wayne Airport. The purpose of their Southern California trip was to participate in a real estate industry conference called the Tom Ferry Success Summit in Anaheim. Floria, Lara, and Nasim were passionate Tom Ferry followers. At our meeting yesterday there were tears, sorrow, disbelief, and feelings of loss. Stories were told about our fallen colleagues that inspired amazing laughter, a sense of pride, and lots of tears. We’re left with memories of our shared work and lives together that we will hold forever. We also reflected on the families of our fallen teammates. Scott and Lara Shepherd left behind two young children, five and seven years of age. Floria Hakimi and her 32-year-old son Navid Hakimi were both traveling on the plane and left behind Navid’s two-year-old son and his brother Aden. 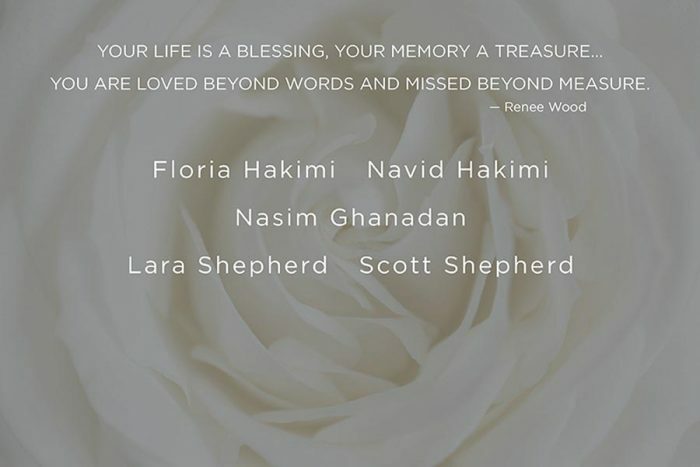 Nasim Ghanadan was 29 years old and left her mother, father, two sisters, and a brother. The entire Pacific Union family mourns their loss, and we remain very mindful of the future emotional and education needs of the surviving family members. In the coming days, we will share more information about a fund that we are establishing for the immediate relatives left behind.